Hailing from Surrey in England, British, actress Julia Farino (www.juliafarino.com) has successfully established herself as a remarkable leading lady. Over the past 25 years, the triple threat actress, singer and all-round performer, has garnered international appeal both sides of the Atlantic and beyond. Her latest principal role as Mrs Erlynne, in a feature film version of Oscar Wilde’s critically acclaimed, ‘Lady Windermere’s Fan’, has been enjoying its film festival run across America, ahead of its digital platform release on Amazon, Netflix and Hulu in 2016. The drama follows Mrs Erlynne, played by Julia Farino, who left her husband and child, Lady Windermere, many years before to live with another man and was disgraced in society. Lady Windermere’s father, in order to protect his daughter from the dishonour her mother caused the family, told Lady Windermere that her mother died when she was a child assuming she would never return. However, twenty years later, hiding her true identity, Lady Windermere’s mother reappears and develops feelings as a mother for the first time. When a situation arises which leads her daughter to make a similar mistake to her own all those years ago, Mrs Erlynne steps in to protect her daughter’s respectability and in doing so, destroys her own reputation for a second time but it is a price she is willing to pay to restore her daughter’s happiness and save her from ruin. Other films starring Julia Farino include the psychological thriller, ‘Synapse’, the comedy, ‘Jeanine’, the drama, ‘If Tomorrow’ and the comedy drama, ‘Locked Out’. And in 2016, the quirky comedy, ‘Shaky Footage’, with Julia as the voice of YouToid, will be released, as well as Tom Teller’s science fiction film, ‘Icarus’, with Julia as the mother of a young man who has to overcome his fears when disaster strikes in space. 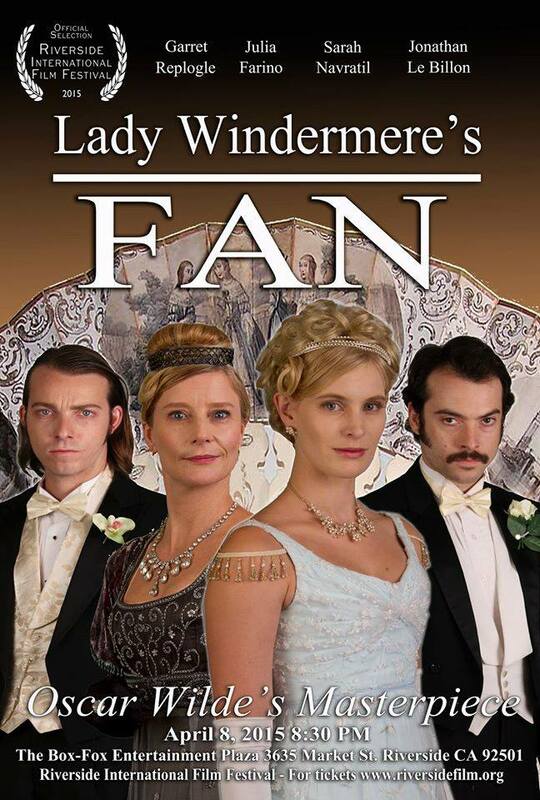 Watch Julia Farino in ‘Lady Windermere’s Fan’ early next year on Amazon, Netflix and Hulu.